Looking for your ancestors? Here are the best *free* family history tools that the web has to offer. Search US and international records, at no cost. When someone mentions The Census to you, it probably brings to mind the national census in the US (if that's where you happen to live) or in whatever other country you call home. There is pretty familiar online access to old national census records in the US, Britain, and Canada, to name a few. But there are literally thousands of historical censuses that occurred at a less-than-national level. These should not be overlooked in your search for family history, even if you've already found good information in national census records. State and local census records may well identify people who were not included in national headcounts, or can provide additional details about family members, including some deep dark secrets. Local censuses may also identify short-lived individuals who weren't alive for the last federal census, and didn't survive long enough for the next. At a wonderful site called CensusFinder you can access thousands upon thousands of censuses with millions upon millions of records. Most of what you'll find here is from the big three in online census records -- the US, Canada and the UK -- though there are also links to records in Norway and Sweden. There's also a specialty section devoted to Native American census records. As you can see, there are records here that you're not likely to find elsewhere. The records themselves are quite a mixed bag. Some are simple text transcripts of historical records, while others provide actual page images of the original census. They come with varying degrees of explanation and context, as well. Most of the links appear to be free, though a few lead to sites where a fee is charged for full access. Definitely worth some exploration time. Also explore the main page of Free Genealogy Tools for more, umm, free genealogical tools. And don't forget to also check for your family history at Ancestry.com and NewspaperArchive.com. These are subscription databases, but they are among the most powerful research tools available for looking into family roots. Fabulous tip! Thank you for sharing. All comments are moderated and will post shortly unless they are spam. While searching for your family history, you've no doubt already hit the main sites and services online. But there are a ton of free resources that are incredibly valuable and not very well-known. That's what Free Genealogy Tools is all about. Each new post will explore a new site you can use to research your family's origins in great depth. NewspaperArchive.com is a fantastic resource... I've been a subscriber for years. 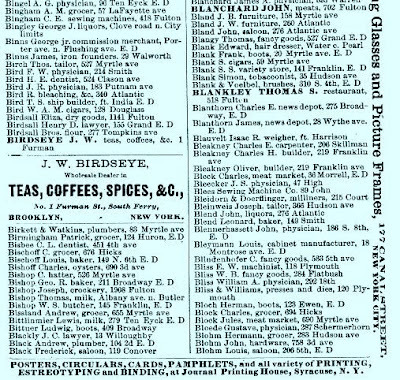 Just about everyone's family gets into the newspapers at one time or another, with events large or small. This is the place to dig it all up. Halloween Alert: Mad Scientist on the Loose!